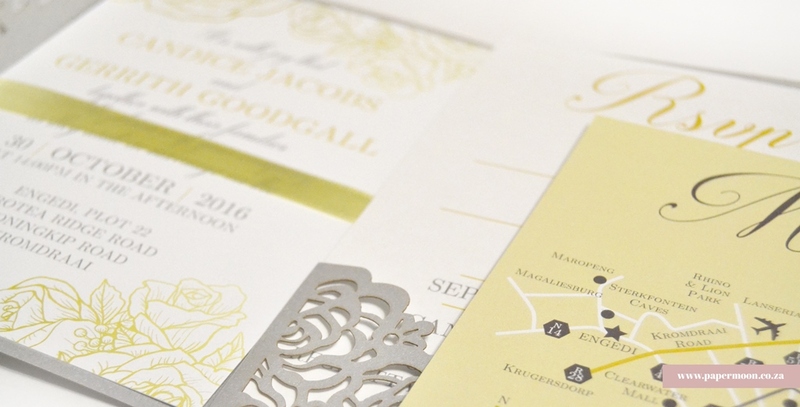 Gerrith and Candice knew exactly what stationery they wanted to present to their guests as a formal invitation and introduction to their big day. 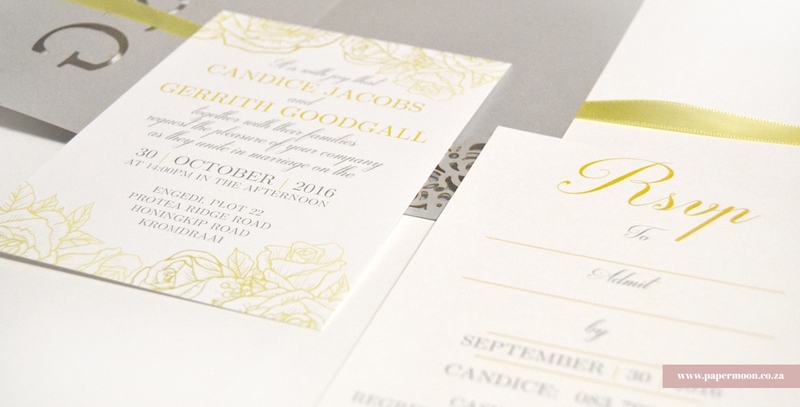 With a collection of beautiful paper choices, bright print and laser-cut detail pockets – complete with satin ribbon – all enveloped in an opaque yellow envelope. 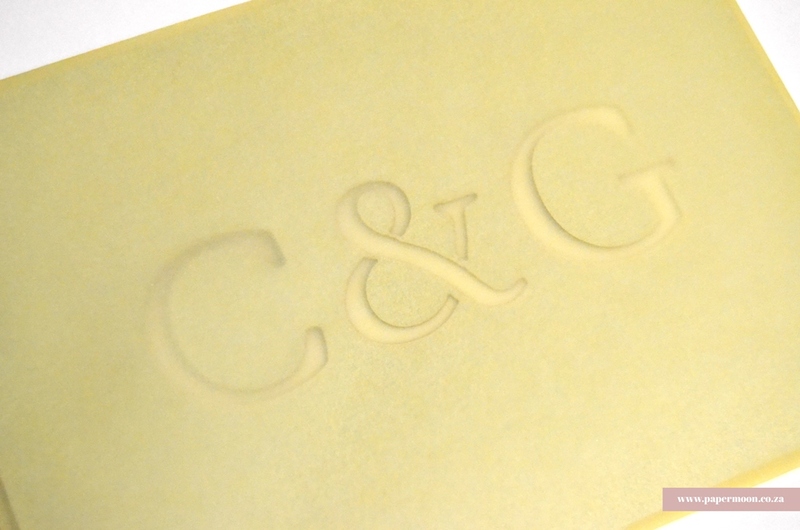 The colour yellow represents those who are seeking self-fulfillment and adventure. A colour combination chosen by a couple who want to enjoy their day surrounded by happiness.